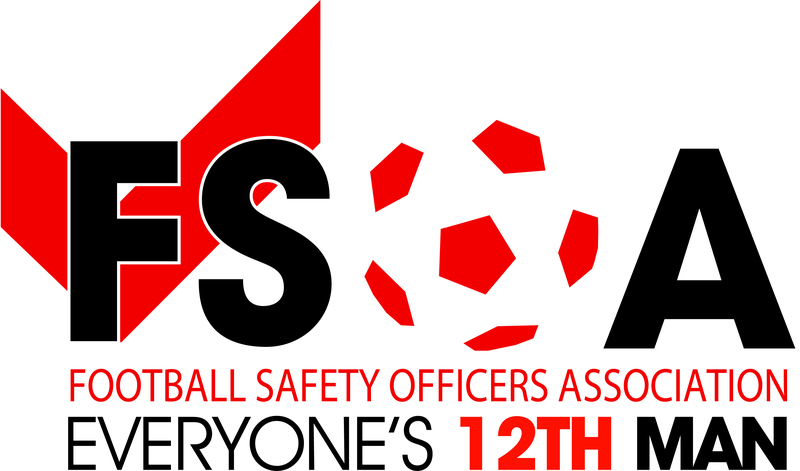 SHOWSEC share common goals with the Football Safety Officers’ Association . . . and they have been important factors in our productive partnership. The excellent relationship which has developed since the crowd management and event security specialists became the FSOA’s main sponsor has been based on a strong commitment to taking crowd safety techniques to new levels and creating even safer environments within the country’s football stadia across a wide range of events. This has ensured that the partnership has been beneficial to both parties, while also enhancing the experience for the public using many stadiums. 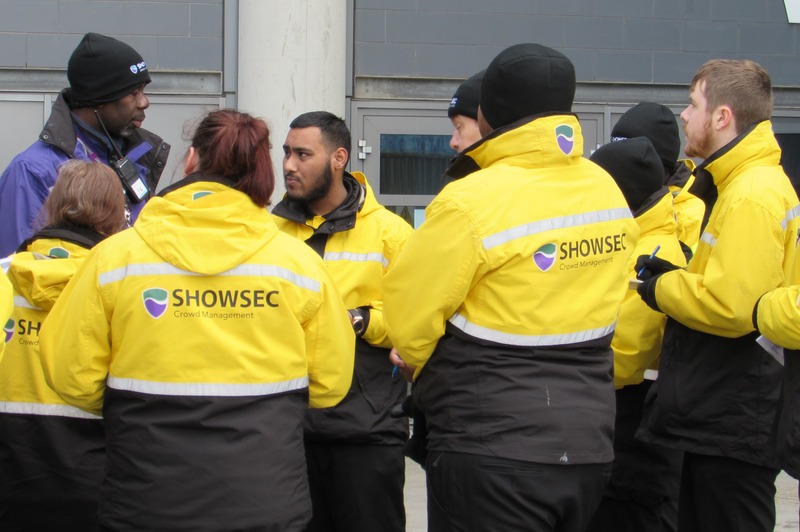 Showsec have worked on a number of initiatives with the FSOA, most notably providing additional crowd management and stewarding support for clubs in need of it, and specialised training for staff seeking to broaden their skills and knowledge. This has enabled the Company to increase its presence in football and to work with many clubs from the Premier League to non-league level. A good example of this was securing a three-year contract with Championship club Rotherham United after helping out in the 2014-15 season. There are many other instances of this initiative working well, such as when Halifax Town required assistance for an FA Cup tie against local rivals Bradford City and likewise when Chorley FC also staged a big local derby against Barrow. Showsec can offer a wide range of services to football clubs, both on match days or for other non-football events held at stadiums. We offer a bespoke service to suit specific requirements, no matter how large or small the event may be. 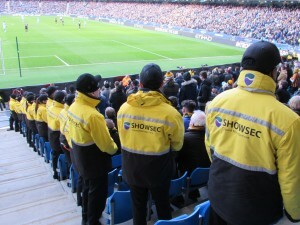 Award-winning events and venue security specialist, Showsec, has been announced as the main sponsor for a major safety exhibition to be hosted by the Football Safety Officers Association (FSOA). 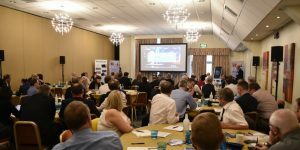 The FSOA will host its AGM Conference & Exhibition on March 21st 2018, giving organisations in the Events industry the chance to showcase their products and services whilst networking with experts. Club representatives wishing to meet with the FSOA and Showsec to learn more about the initiative are being invited to sign up to attend the Spring AGM Conference & Exhibition, which will take place at The Stratford Manor Hotel, in Stratford-upon-Avon. 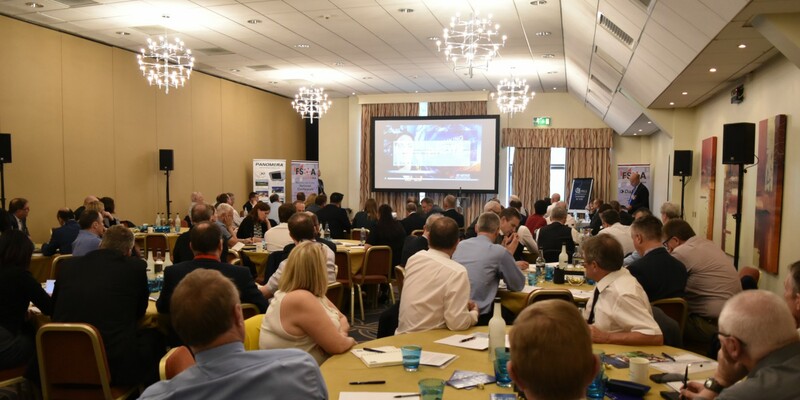 A packed programme of talks and activities has been lined up for the event, focusing on a range of relevant issues such as national terrorism threats, real-life insights into football stadium safety and Q&As with high-profile speakers. An evening dinner will take place following the conference, which will feature Ex England cricketer and selector Geoff Miller as the special guest speaker. The evening celebrations will be compered by Andy Ashworth and will also feature comedian Rod Woodward. John Newsham, FSOA Business Development and Membership Manager, said: “We are delighted to have the continued support of Showsec, which will be the main sponsor of our Spring AGM event. 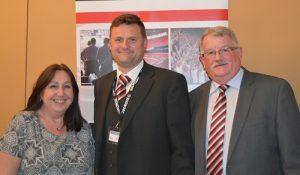 “As well as giving organisations a great platform for networking with industry experts, the event is also a great opportunity for football clubs in League One and below to learn more about our joint initiative for free stewarding assistance for FA Cup fixtures, which we are continuing into the 2016/17 season and beyond. Any member club in League One and below can apply for free FA Cup assistance with stewarding. Applications should be made to the FSOA office via e-mail info@fsoa.org.uk on completion of the criteria form. The form can be downloaded from the FSOA website under members documents in the download section. All requests are subject to funding being available and at the discretion of the FSOA Management Board. Showsec has signed a new two-year contract with Warrington Wolves to provide security services for all upcoming home games. 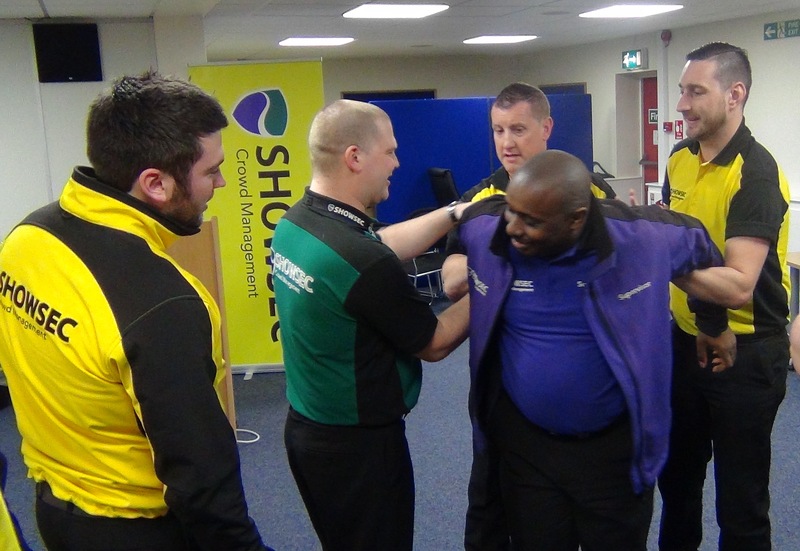 The crowd management and event security company has already worked at The Halliwell Jones Stadium since 2009, and has been the Wolves’ primary security supplier for much of that time. However, this is the first time a permanent contract has been in place. “We have a very strong working relationship with Marc Weall, the new Stadium Manager, and Ken Lewis, the new Stadium Safety Officer, both of whom started in the last season,” said Stephen Roberts, Operations Executive for Showsec, who has served as Head of Security at the stadium for the past two seasons. Marc Weall, Stadium Manager for the venue, added: “It’s a real comfort to know on a busy, hectic match day that all our security needs are confirmed and in place. The new contract is a result of Showsec’s relationship with the club developing over recent years. Having originally only supplied staff for car parks and fire doors on the site, Showsec’s role has significantly expanded to include the main reception, shop, hospitality, turnstiles, stands and CCTV operation. Approximately 70-80 staff are required for each home game, with an average of around 15 games each year, plus any cup games. The Halliwell Jones Stadium has a maximum capacity of 15,200. The two-year contract also comes with a potential one-year extension if both parties are happy to continue with the partnership later. THE DEVELOPMENT of Showsec’s management team has taken more significant steps forward in an ongoing commitment to achieving the highest degree of excellence. Four of the Company’s Operations Executives have been awarded a Foundation Degree in Applied Professional Studies in Crowd Management, while the training of five managers will put them in a much stronger position to strengthen that infrastructure in the future. 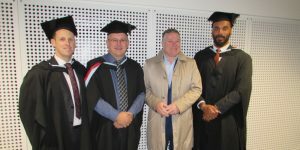 Glen Stevenson, Simon Howard and Carlos Campbell donned gowns and mortarboards for a graduation ceremony which took place at the Derby Arena recently. A fourth Operations Executive, Mark Norbury, has also received the Foundation Degree which represents another momentous landmark on their career journeys. That development pathway is about to be enhanced by training being undertaken by a group of managers who will then be able to teach aspects of the Foundation Degree. 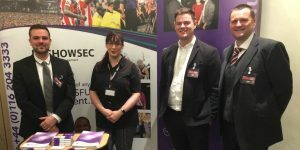 “Our partnership with the University of Derby’s Business Centre means that we are constantly looking at ways to remain at the forefront of management training in the industry,” commented Keith Hackett, Showsec’s Learning and Development Manager. “The operational team has been further strengthened by the latest graduates acquiring a Foundation Degree and they are to be commended for their dedication and professionalism in combining those studies with an extremely busy workload. 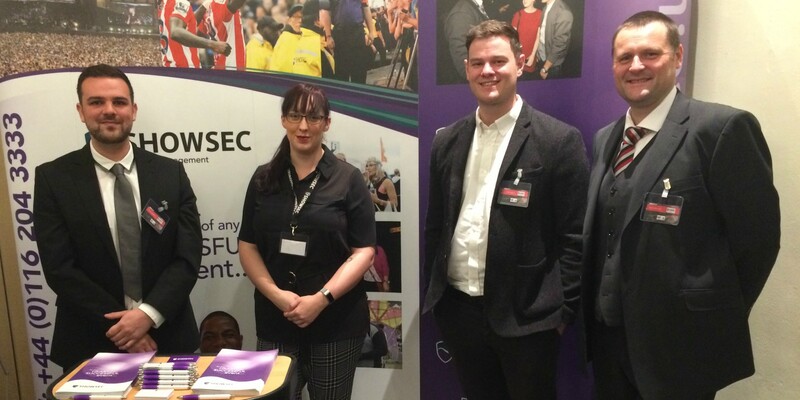 Showsec work closely with the University of Derby’s Business Centre to create a Training and Development programme which gives individuals the best-possible career pathway. That has involved five managers taking a teacher training course recently; Alan Wallace, Joe Milner, Ieuan Fury and Tom Bailey, who all received a Bachelor of Arts Degrees in Applied Professional Studies in Crowd Management earlier this year, being joined by HR Manager Michelle Abdale. “It is hugely beneficial to the progression of the business to be able to offer a quicker pathway to different levels of managerial qualifications and one way in which we can refine this programme is by doing a high proportion of the training in-house,” added Hackett. Hackett and Showsec’s Managing Director Mark Harding attended the graduation ceremony at Derby Arena to see the Operations Executives receive their Degrees.